Butterflies and Flowers Volume 1: It's a nice start to a series for women. In this series, former rich girl Choko Kuze is employed at a real estate agency by her ex-servant Mr. Domoto ("with a heart"). Basically, he acts psycho, swinging between being a hard-driving sexual harassing boss and a sweet and loving servant. It has some very funny moments. I can't say I approve of the harassment, though. 3.5/5 Hopefully, it gets better. Here is Chapter 1 of "Orange Chocolate," our newest project. Sapphire Pyro wrote a great introduction to the series on Hyper Parfait. Many thanks to Pyro! Just a warning, the main female character, Chihiro, does refer to herself in the third person. I wouldn't interpret this as she's being narcissistic, so much as in her head she is still 4-yrs old. I think we've all seen quite a few manga and anime series in which little kids refer to themselves in the 3rd person. For me it was a bit off-putting at first, but now I see that it's just part of Chiro's charm. My hope is as the story progresses, Chiro will mature and quit talking like a 4-year old. I guess we'll just have to wait and see. Give it a read and give me some feedback. I'm working on chapter 2 now (scanning) and I expect it to be released in 7 - 10-days. There were a lot more errors in my translation than I expected :(. Fortunately, though, Natirein did a complete translation too. This final translation is a my original translation cleaned up using Natirein's translation as a reference. All hail the greatness of Natirein!!! I really am grateful she joined the team! Anyhow...here's Ouran 78. "Orange Chocolate" Chapter 1 is up next. The Japanese in that series is no where near as complicated as Ouran fortunately, though, I did get some help with some of the slang :) ETA Friday or Saturday. "Orange Chocolate" is a GO!!! I thought from the first chapter that "Orange Chocolate" was going to be a well done, but cliched series, until I read ahead to chapters 2 and 3. Well, folks, there's a BIG twist that comes at the beginning of the second chapter. From what I've read so far of this series, it has a good mix of humor, drama, and heart -- lots of heart actually. This is a genuine "feel good" series, with gorgeous drawings and I'm so happy to be able to bring it into English :). I expect the first chapter be be released on Friday and I hope to get in chapter 2 before the "February Lala DX Bonanza." The chapters in this series are LONG at ~50-pages each. 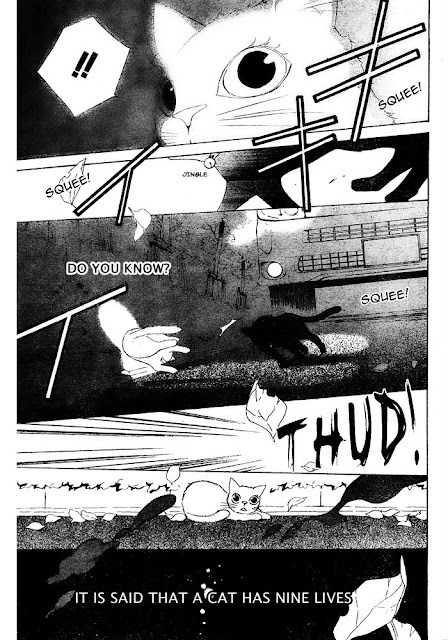 There are 13 chapters out now, so in true Kuroneko003 style, I intend to churn the chapters out as best I can until we're are all caught up. This series, though, does take a while because the chapters are so long and the images require a lot of cleaning and repair. Lala DX Volume 3/2010 comes out on February 10th and it's crammed full of good stuff. Please give me some feedback about which series you would like translated first. The survey is in the upper corner of the right side menu. Thanks to Natirein, page 26 is fixed!!! Drastic changes were made and hopefully, this part of the chapter makes a lot more sense. Beyond the changes made to page 26, I don't expect there to be any more "drastic" changes to the current translation. Regardless, we are currently checking the rest of the translation and, hopefully, we will release the final edit early next week. We're still working out the new translation quality check process ;p. Hopefully, next time it will go more smoothly :). I just want to give a word to the wary, chapter 78 is completely devoid of humor. However, this time there is no cumbersome medical or business jargon to wade though. The quick translation will be out some time tomorrow (Friday), barring any power outrages due to the crazy weather we are experiencing in Southern California. Hopefully, over the weekend, the other translator and I can work on refining the translation for a final release early next week. ...sigh...someone needs to bit-- slap Tamaki's father. And what's with Haruhi...she just seems to be along for the ride...ugh!!! And somebody, please, hug Shizue!!! She's been through enough already!!! The omake that's due out in February better be a knee-slapper to make up for emo-marathon!!! Anyhow, I look forward to bringing back some humor to this blog with "Orange Chocolate"
I've begun working on "Orange Chocolate" and I think I have a winner for the last series we will be taking on for the near term. Here are the first few pages. Let me know what you think? Do you like it? Or should I move on? Passing on "Yashiio to Mikumo"
I translated the first 10-pages of "Yashio to Mikumo" and honestly, I don't know what's going on and I'm not sure I care. The premise is that there is a cat society next to human society and within this cat society there are cat's with nine lives. The cat's names are based on the number of lives they've use. Yashio (8-lives) raids Mikumo's (3-lives) house looking for Gogou (5-lives) because he wants Gogou to sign a ledger. The word that is used translates into a "collection agency", but I don't understand what it is the agency collects and for some reason the cats must report to the collection agency when they lose a life to register their name change. Mikumo seems to be one of those cute and shysty types, and Yashio is violent and =_=. The manga is written in some very busted Japanese with very little grammar cues and bunch of slang I can't find definitions for or figure out. In light of this, I don't think I could provide a good translation of this series, nor do I think this series will be something something I will like (Oh, not to mention, the image quality is crap!). Hopefully somebody else will give this series a try. Well ... onto the next trial series...looking at "Film Girl" -- first impression = meh...pretty boy model likes shy megane and encourages her to model with him...I think I've had enough of awkward girls becoming models. It looks like the latest version of "Library Wars" is licensed by Viz and the first volume will be released in English in June. I would rather not take on another licensed work. Now checking out "Orange Chocolate." Omari's Sister has a new team member! Her handle is "Natirein" and she will be working on the translation of "Akagami no Shirayukihime" and "Ouran High School Host Club." She will also check the quality of the final translations of these two series. Natirein is a native Japanese speaker, so her expertise on the Japanese language is much appreciated. Her first contribution is on the ANS chapter 17 Omake. Here's a short extra story that occurs between Chp 17 and Chp 18 of "Akagami no Shirayukihime." With this, we are all caught up with the latest out from Japan for ANS. Chapter 18 will be released in Japan on February 10th in LalaDX. This is the same day ZHD is released. I will translate ZHD first before getting to ANS, so expect ZHD in English around Feb. 17th (maybe sooner if the chapter's 30-pgs) and then ANS around Feb 24th. And here's a link to Pyro's lovely fangirl summary and analysis of the omake. 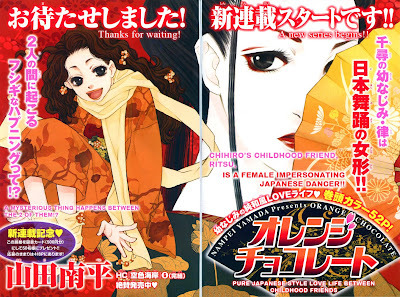 Next up is a one-shot from Nari Kusakawa and then Ouran Chp 78. I may not get done with the one-shot before Ouran, so the one-shot may come out shortly after Ouran 78. The wallpaper included as the last page in the download. Here's some fangurl love from Sapphire Pyro. I will hopefully release the omake this weekend. My husband and I just finished watching the first episodes of the some of the new series for Winter 2010. Here's a quick rundown of what we thought. Soro no Woto: A military Bugle/Trumpet anime set in a time that looks kinda WWII-ish. It's slice of lifey and the main character acts like a six year old. We're continually amazed at how in Japanese stories, legends and glorious histories are made up about everything, even the bugle. I suppose this story will follow our main character, Kanata, as she masters the Bugle...hmm...we'll give it another episode before deciding whether to stick with this series or move on. Chu-Bra: We didn't even make it through the intro credits before we decided to move on. It appears to be a series about Pantsu. Baka to Test to Shokanju (Idiots, Tests, and Summoned Beings): The title pretty much sums it up. There are students. They are divided into classes based on an entrance exam. The better the student does, the better the classroom amenities. The classes can fight for amenities using summoned beings whose attributes are determined by taking yet more tests. Obviously, some genius is trying to integrate academic excellence with gaming. This anime is highly stylized and incredibly ironic. It will be interesting to see how they manage to pull 12 episodes out of something that should only span one or two, at the most, episodes. 2nd Episode: Hilarious!!! "Baka go Home!!!" Durararara! : This one starts out pretty slow with some dweeby sheltered teenage boy meeting his best friend for his first night in Tokyo. Interspersed with this pointlessness is a kidnapping, a bad-assed chick on a motorcycle, and an Internet chat about the bad-assed chick on the motorcycle. I like the chick and the Internet chat, but the dweeb I could do without. I don't know what the intention is with the dweeb, but I imagine in some way he'll get wrapped up the bad-assed chick either in real life or the afterlife or whatever...Actually, my husband and I were looking forward to the dweeb's death, but it didn't happen. We thought maybe he'd become the BA Chick's helper. Anyhow, this series looks to be the most promising of the series we've sampled so far. Seikon no Qwaser: The words "WTF" come to mind. Apparently, the hero is powered by Holy Milk...STAY AWAY FROM THIS SERIES. IT'S SERIOUSLY WRONG AND UNWATCHABLE. Ladies vs. Butlers: Another show about patsu and oppai, but this time showcasing maids. Uh, fetish? I quit watching after the first 10-minutes. 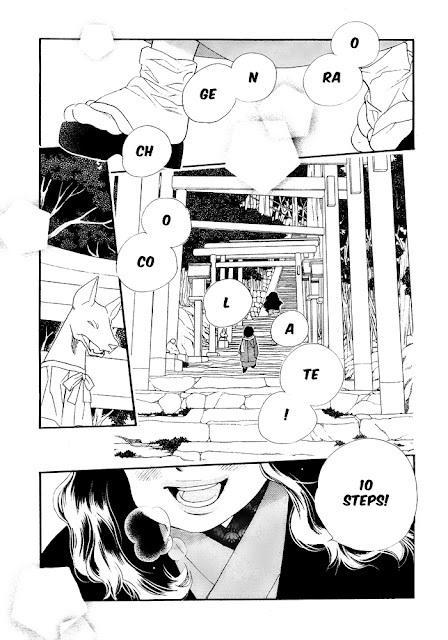 Here's "Akagami no Shirayukihime" Chp 16. I'm still waiting for inputs from my proofreaders, but it should be good enough for now. However, in light of this, please DO NOT upload this to any of the manga aggregrator sites. I will do so when I think it's ready for upload. Updated 1/10/2010: Version 1 -- Minor translation correction on page 2 and some minor tweaks to other pages per suggestions from Sapphire Pyro. Here's some fangirl love from Sapphire Pyro -- beautiful work and nice analysis as always. Next there's chp 17 and a very short omake. After that Akagami should be caught up with what's available. Chapter 18 will release in Japan on February 10th. This is the same day as the next chapter of ZHD. I will be translating ZHD first, and then I will get to ANS, though, I may not finish before Ouran is released. Anyhow, in the next chapter of ANS, Shirayuki returns and we are back in the present. 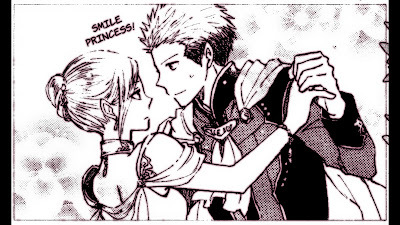 From a quick glance at the drawings, it looks like Obi is getting progressively bolder with his feelings towards Shirayuki ... hmm ...I'm don't think it's wise to mess with your boss' "thang," Obi ... hahaha! Look forward to it! Ultimate Venus Vol. 6 (Yes, it's actually shipping soon!) -- Nope...apparently, Amazon and Buy.com were just tricking. It's back to no inventory status with no release date. Buy my lightly used manga here at my Amazon Store. There's plenty of good stuff left! I'm still trying to nail down another series and I will doing one-shots when I have the time. I hope to get a full-time engineering job this year. It will be interesting to see if I can balance full-time employment and translation. Haha!!! Well, there's no use in speculating about it.